Your body is NEVER deprived of protein because you have opted for a plant-based diet! Has someone ever said you that you need proteins to build muscles? 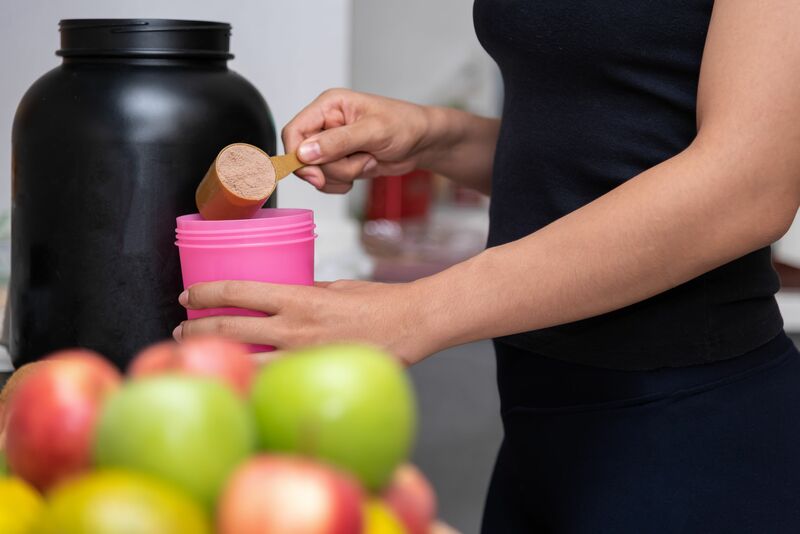 Have you ever thought that you need protein shakes to stay fit? I have to tell you that they are myths and let me debunk them in this article. Myth #5: Plant-Based Diet Does Not Give You Enough Proteins. Plan your food routine to include essential grams of protein in each meal. This is absolutely wrong. The protein levels are different in animal products and plant-based diet and if your diet comprises of lentils and rice, then it is difficult to get enough proteins. However, if you have a well thought-out nutrition plan, then you can sometimes have more protein consumption in a plant-based diet. Plan your food routine accordingly. Amino acids are more important than proteins to build muscles. The fact is that muscle development does not just rely on proteins as there are other building blocks called amino acids that impact ligaments, joints, enzymes, hormones, antibodies, and LDL/HDL cholesterol. Proper strength training routine combined with amino acids can build more muscles and enhance your immune system. Low protein diets let you lose muscles and not fats! It is widely believed that insufficient protein can burn unnecessary fats. However, the reality is low protein diets can affect your metabolism and there is a muscle loss instead of fat loss. There are also side effects like weakness, fatigue, and poor immune system. Having considerable quantities of protein is important to manage your weight! Myth #2: The Time Of Your Protein Intake In The Day Doesn’t Matter. We tend to eat beans, tofu, eggs, cheese, and vegetable burgers either during lunch or dinner. However, this is not right as every meal in a day should include at least 20-30 grams of protein. This means that your breakfast, lunch, and dinner should contain necessary protein-rich foods. Take Greek yogurt for breakfast, lentils/tofu/eggs for lunch and meat/tempeh for dinner. Myth #1: Protein Supplement Is Mandatory For All. Protein intake happens naturally; you need a supplement when you undergo high activities. If you can consider one of your friends who is not a fitness freak, for example, you can see that the protein intake happens naturally. For every pound of your weight, you need to have 0.4grams of protein. People with high activity levels tend to go for supplements to fasten the protein intake. Protein is one of the essential building blocks for your body. So, never take chances in following inappropriate/false information and leave your body at stake. Next articleIs It Right To Share Details Of Your Salary With Colleagues?